Apple has become the target of complaints from some Chinese customers as searches in the localized version of the App Store are producing sometimes quizzical results, even when they include the specific name of an application. 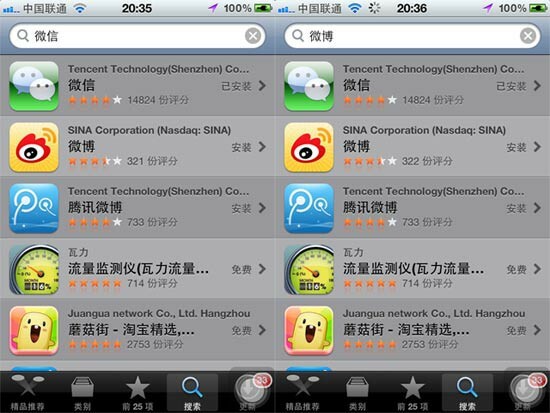 Sohu IT (via Mobisights) noted the “strange phenomenon” that is taking place on the App Store. Some developers are reporting that their applications aren’t showing up on the first page when the names of the software are inputted. The publication conducted a series of tests and found several unusual results for a few searches. One particularly odd result placed Tencent’s Weixin (微信) chat application ahead of Sina Weibo’s (微博) microblog software even when searching for the term “微博” (weibo, or microblog). Searches for foreign English applications, such as Instagram and Uber, appeared unaffected. Some observers suggested that the issue was a problem with the search function measuring only the first character of each query. A test from Sohu IT found that searches for “Beijing” and “Jingdong” (the Chinese name for ecommerce giant 360buy) produced the same results. Of course, the change in results could simply be a bug. We’ve contacted Apple for comment and will update accordingly. Though the issue is a relatively minor one, it underscores a problem of perception that Apple faces among the Chinese market. Recently, the company came under criticism from Cantonese speakers after the launch the iTunes Store in Hong Kong. Locals complained that Apple was using Mandarin romanization for the titles of Cantonese pop music, a move that carries with it certain sensitive political implications. For its part, Apple is redoubling its efforts on Chinese support in iOS and OS X. The company has added more Chinese services and improved text input to OS Mountain Lion, which came out last month. Siri in both Mandarin and Cantonese is also due out later this year with the release of iOS 6, which will also include new Chinese-language improvements. Some of Apple’s competitors in China have highlighted the lack of Siri support for Mandarin in an effort to stem the iPhone maker’s success in the region. For instance, Xiaomi CEO Lei Jun called out Apple at the unveiling of his company’s second-generation smartphone and touted his device’s Keda Xunfei Chinese voice recognition software as a better option. While Apple is one of the few foreign brands to have found success in China, the consumer goodwill it has built up rests on a fragile foundation. In the current climate, missteps by any company can have explosive effects if residents begin complaining through the country’s emerging social media channels. The App Store’s English search algorithms have actually seen a few changes this year as well. 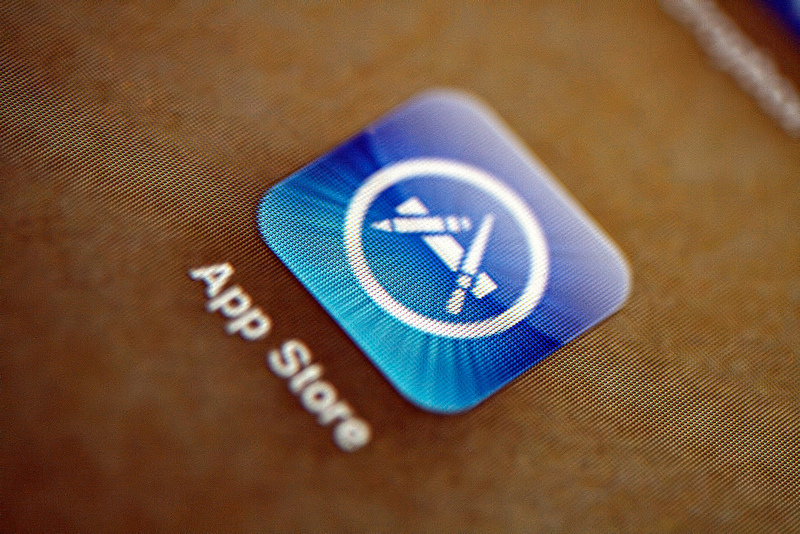 Apple’s acquisition of app discovery platform Chomp earlier this year is believed to be part of its strategy to help users sift through the more than 650,000 apps now on offer.